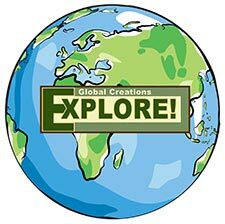 Outdoor News June 15, 2018 - Explore! 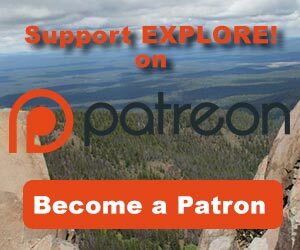 Outdoor News June 15, 2018 - Explore! On Monday, Rhino USA announced the release of their new waterproof, dry bag, backpack. The quality of outdoor-related products and accessories on the market today can vary greatly. This becomes a serious issue when it comes to real adventure – where poorly made gear can create headaches. Enter California-based power sports brand Rhino USA, a team devoted to their passion for the outdoors, with a chief aim of delivering the highest quality gear to the world. The new backpack is designed to be the perfect companion for adventure in even the harshest and wettest of conditions. It is especially suited for canoeing and kayaking when a portage is in the plan. 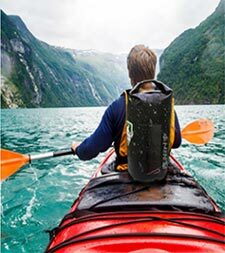 According to Rhino USA, the 100% waterproof dry bag backpack is built to the industry’s highest quality standards. It’s both extremely light and even floats if dropped in water, is ergonomically designed to distribute its weight in as comfortable and unobtrusive a way as possible and comes complete with a double diamond stitched viewing window for easy view of your belongings. The bag itself varies in 5 different sizes, giving it lots of room for all kinds of adventure needs and is available in XXL (40L), XL (20L), LRG (10L), MEDIUM (5L) and SM (2L). As an important part of the Rhino USA mission, a portion of each sale goes towards charities such as Wounded Warrior Project, ASPCA & St. Judes Children’s Research Hospital. The company is happy to make the Rhino USA Waterproof Dry Bag Backpack available on Amazon.com for their customer’s added convenience. Last Friday, Oregon Parks and Recreation Department (OPRD) announced that it has hired Cailin O’Brien-Feeney as the first head of the Oregon Office of Outdoor Recreation. The Office is a new unit inside the agency, created by legislation signed into law by Governor Kate Brown in 2017. The Office’s purpose is to elevate outdoor recreation in every corner of the state. By collaborating across boundaries with local, state, and federal agencies, plus nonprofits and recreation-dependent businesses, the Office will develop and promote policies, legislation, and management practices that improve access, encourage public participation, and protect natural resources. O’Brien-Feeney holds an Environmental Studies undergraduate degree from Lewis and Clark College in Portland, Oregon and an Environmental Science graduate degree from the University of Idaho. 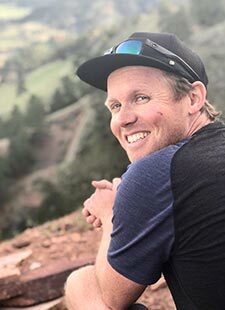 He’s worked in the recreation field for 15 years, including stints with the US Forest Service and as a river guide in Idaho, and has been the State and Local Policy Manager for the Outdoor Industry Association (OIA) since 2015. The OIA is a national trade group, and under his leadership, Cailin’s worked with governors, legislators, and agencies across the country to improve access to outdoor recreation opportunities, encourage strategies that increase economic benefits, and promoted establishment of Offices of Outdoor Recreation in other states. He will start work in Oregon in late June. The 2017 Oregon legislation creating the Office inside OPRD, House Bill 3350, sprang from the Outdoor Recreation Initiative convened by Travel Oregon, and was supported by a coalition of nonprofits and businesses like the Mazamas, American Whitewater, and REI, among others. On Tuesday, the State of Minnesota announced the launch of a new online tool to help outdoor recreationists find amenities at Minnesota’s parks and trails. 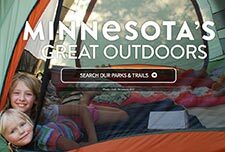 The Minnesota Great Outdoors website allows people planning to visit parks and trails – both regional and state-owned – to easily filter their search based on location, accessibility, camping amenities, lodging, interpretive programming, rental equipment availability, and landscape features, among other interests. While this website does not include information about national or city parks and trails, it provides in-depth information about state and regional parks that is helpful to Minnesotans and visitors in all corners of the state, during all times of the year. The website’s search filters even break out trails by use, indicating trails that are best for hiking, off-highway vehicles, snowmobiles, and bicycles. To date, the Minnesota Great Outdoors site includes more than 184 parks and 419 trails. This new mobile-friendly site was made possible by the Minnesota Legacy Parks and Trails Fund, and it shows all state and regional parks and trails that are eligible to receive Legacy funding. While the online map is now fully public, work continues to add additional information about Minnesota’s state and regional parks and trails, particularly related to recreational activities and the locations of these opportunities. On Wednesday, the National Park and Recreation Association announced the recipients of its NRPA Innovation Awards and NRPA Spotlight Awards. The awards will be presented at the 2018 NRPA Annual Conference, Sept. 25–27, 2018, in Indianapolis, Indiana, where NRPA will announce the winner of its Best in Innovation Award, which recognizes the best of the best in park and recreation innovation. The winners of each of these categories will face off in a public vote for the Best in Innovation Award. NRPA members and the public are encouraged to vote between June 25–29 at www.nrpa.org/Innovation-Awards. The Colorado Outdoor Stewardship Coalition says, "Building stewardship awareness by strengthening and expanding volunteer opportunities through a collaborative and scaled network of Outdoor Stewardship Organizations (OSOs) will provide Colorado with the opportunity to forge an effective model for heightened outdoor stewardship. OSOs can offer quality assurance and reliability to public land manager partners when they are equipped with effective volunteer and project management tools and, equally as importantly, provide direct and impactful experiences for residents and visitors alike to ensure Colorado’s great outdoors are protected, conserved, and sustained." 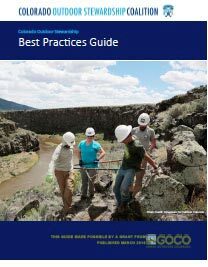 Toward the end of encouraging and enhancing such organizations, the coalition recently published the Colorado Outdoor Stewardship Best Practices Guide. The guide defines “volunteer outdoor stewardship” as: the act of conserving and protecting Colorado’s lands and waters, as well as constructing and maintaining the facilities and infrastructure used by people to enjoy the outdoors. Volunteer Management offers suggested practices to ensure successful volunteer recruitment, retention, and recognition so volunteers can be effectively involved and sustained. Working with Land Managers provides suggested practices and information to ensure quality land management partnerships, inclusive of understanding volunteer and partnership agreements. Safety and Risk Management establishes important guidelines to help your group or organization plan for and mitigate potential risks inherent in volunteer engagement and project work. Data and Impact Reporting offers data collection tools and metrics that lend themselves to better impact reporting to improve organizational effectiveness, garner new partnerships, and strengthen financial resources. Whether you work with an outdoor stewardship organization or want to create one or are a public land manager looking for volunteers, this guide can help get your program together, regardless of which state you are in. The guide may be downloaded from the Coalition's website. 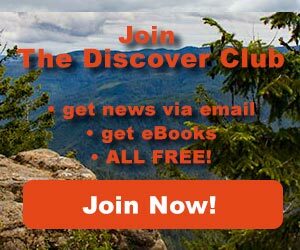 Take 20% Off Full-Price Camp & Climb Gear at Backcounty.com- Use Code SMR20 at Checkout. Deal ends tomorrow! You and a friend can save 20% on your next order from My Trail Co. Click for details! Deals end Sunday at BikeNashbar.com! • Bargain Bin is Chock Full of Fabulous Cycling Components, Accessories, and Clothing Up to 90% Off! • Select Cycling Clothing Up To 70% off. • Cycling Sunglasses and Helmets Up To 70% Off. • Moving Sale! Up To 87% Off Cycling Products. Lots of sale items (packs, tents, and much more) at USOutdoor.com. See the "SALE" menu item to get started. In this week's video, you'll learn about the ethos of canoeing and, particularly, the Canadian cultural connection to this great activity. Whether you want to canoe for recreation or competitively, you will get a glimpse of what it takes and how canoeing can get embedded in your psyche. You may also want to check out a canoe story on EXPLORE!